Captain Adolphus W. Gorton, US Navy (Ret), (1897-1989), was born January 29, 1897 in Pawtuxet, a direct descendant of the Gortons who founded the City of Warwick. He graduated from Moses Brown and entered Dartmouth in 1916, but left to join the American Volunteer Motor Ambulance Corps in France. He sailed abroad on May 5, 1917, and with Section 61, participated in the second battle of Verdun. In November, 1917 he was operated on for appendicitis—one of the lucky few in those days to survive the procedure. He was invalided home. After his recovery, he enlisted in the Navy at Newport on February 11, 1918 and was accepted for flight training. He earned his wings and commission on October 25, 1918. With the war ending, he volunteered for the aerial mail service. On February 5, 1919, he earned a special commendation from the Secretary of the Navy for laying stretched out on the wing of an airplane for two hours and thirty minutes, holding open the throttle of the engine of the crippled plane while his assistant pilot flew two hundred miles, carrying mail between Hampton Roads and Washington. By 1922 he had become a member of the Navy air race team. In October, 1922 he won the Curtiss Marine Trophy Race for seaplanes. On August 8, 1923, while preparing for the Schneider Cup races in England, he broke two aviation speed records in one day. In addition to his racing, Gorton was a member of the crew that set seven endurance and distance records with a seaplane in 1928. In 1929 he became the first pilot to ever dock with an airship. In December, 1929, he resigned from the Navy to become chief pilot for Curtis Publishing Company, flying their new Ford tri-motor. 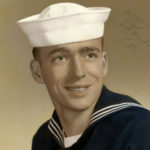 He was called back into the Navy in March 1941 and served as squadron commander at NAS Jacksonville, then in 1942 as the first CO of NAS Banana River (later Patrick AFB). He became CO of NAS Puunene, Hawaii in 1944, and CO of Johnson Island in the Pacific in 1945. 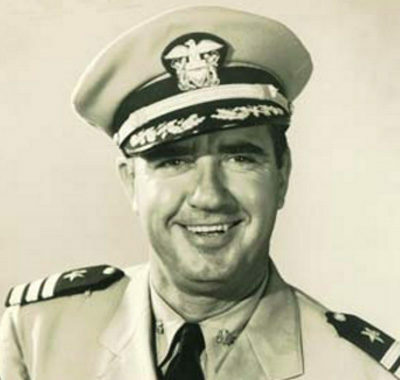 Gorton retired as a Captain in 1949. He died September 28, 1989 at Merritt Island, FL at age 92. Barrington natives James Allen (1824-1897) and his younger brother Ezra Allen (1840 – 1902) distinguished themselves through a lifelong commitment to aeronautics in the 19th century. his lengthy service with the Civil Air Patrol (CAP).